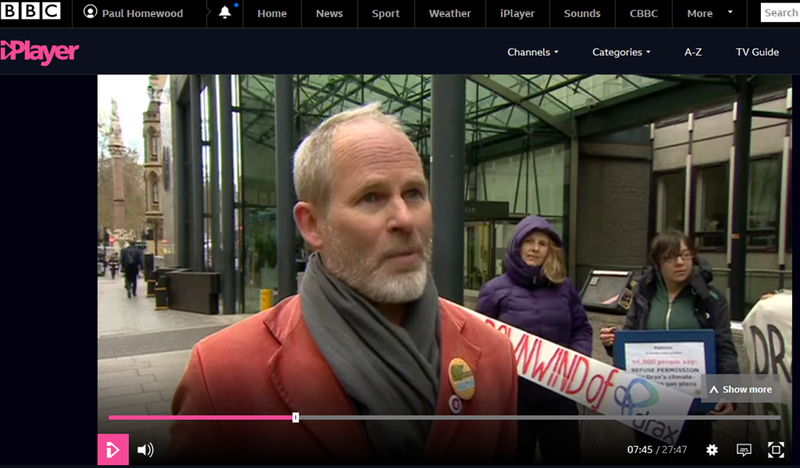 Drax Protestors Want More Wind Power To “Keep The Lights On”! A 96,000-signature petition calling for plans for the UK’s largest gas-fired power plant to be refused has been handed in. 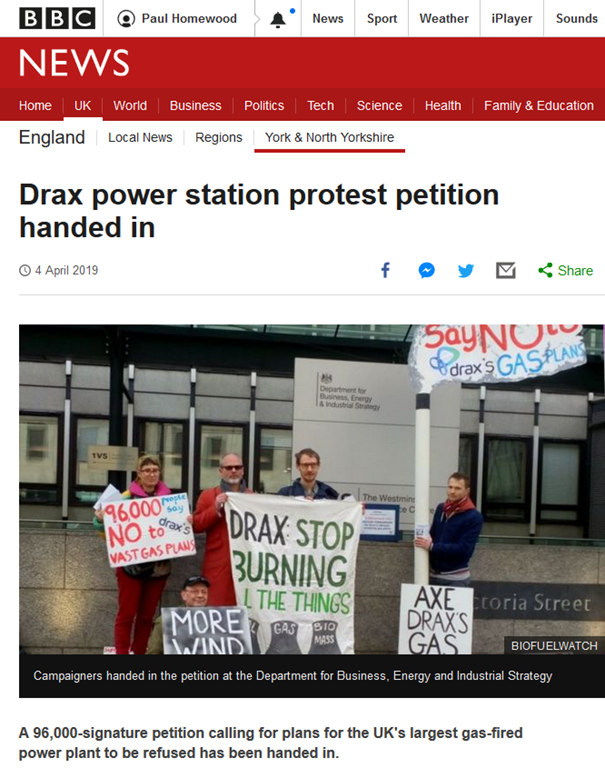 Drax power station, in North Yorkshire, wants to switch two of its coal-fired generating units to gas power. The firm said plans would increase its ability to provide "flexible and reliable" electricity generation. Campaigners have handed in the petition at the Department for Business, Energy and Industrial Strategy in London. Duncan Law, of environmental campaigners Biofuelwatch, said: "The UK does not need this gas capacity even according to government projections." He added: "This will cross-subsidise the continued burning of climate-damaging biomass long into the future." The petition was organised by York Green Party and Biofuelwatch. For some reason, the BBC reporter failed to challenge the absurdity of this statement. 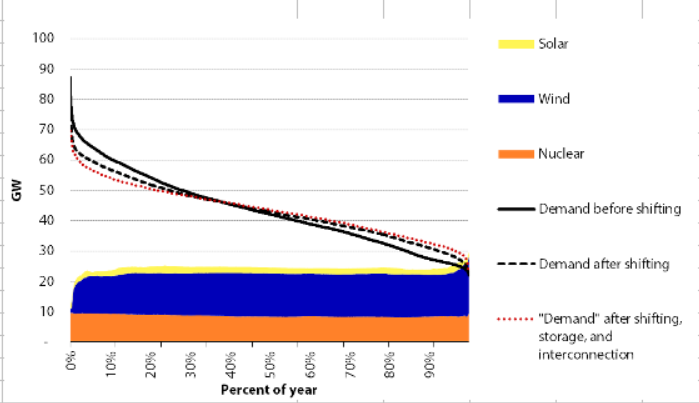 It is the unreliability of wind and solar which are putting our energy security at risk. And they also warn that 10 GW of existing CCGT capacity, nearly half of what we have now, will have closed by 2030. Demand is projected to peak at over 80 GW, and even after allowing for demand shifting and storage, we will need at least 70 GW of dispatchable capacity as standby. Nuclear may be able to provide between 6 and 10 GW of this, but with coal plants shutting, most of the rest will need to come from gas. Unless, that is, Mr Law and the BBC think it can come from thin air! If the BBC are going to provide the oxygen of publicity to green loonies like this lot, the least they can do is challenge them about their risible fantasies, which pose real risk to our energy security in years to come. Instead, they simply give them an air of credibility. ← Has Atlantic Cooling Shift Started?